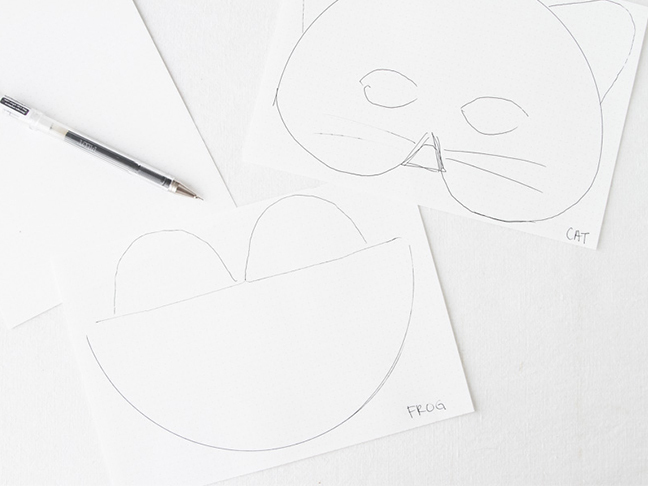 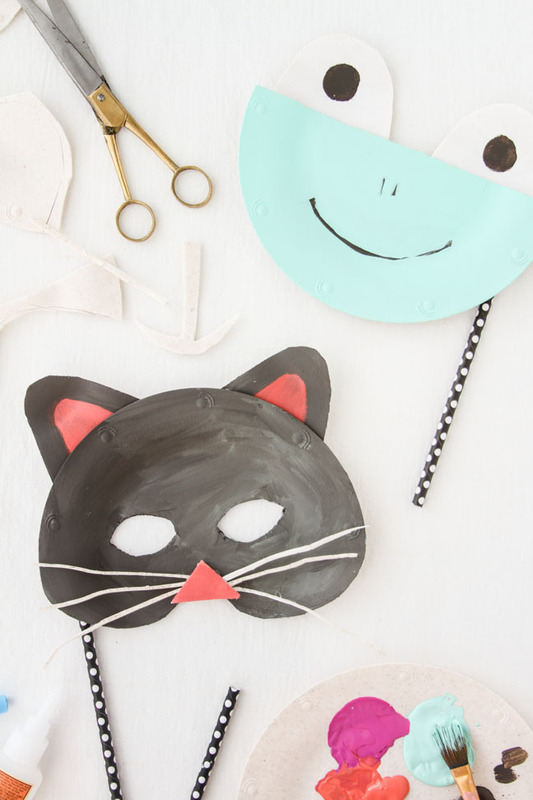 Halloween is this weekend, so I made some easy animal masks for kids to get ready for the occasion. 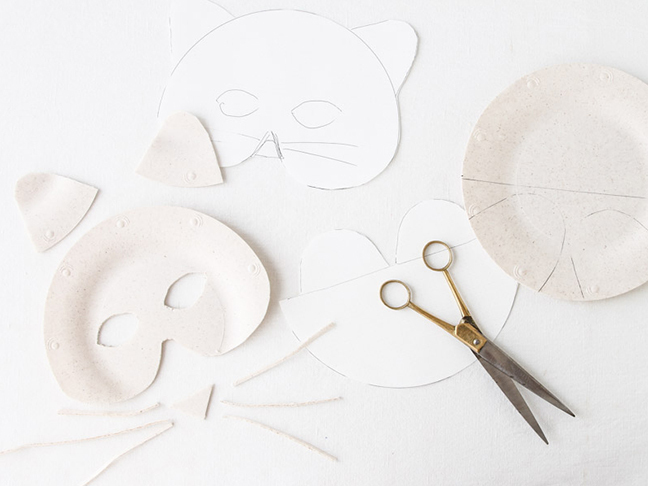 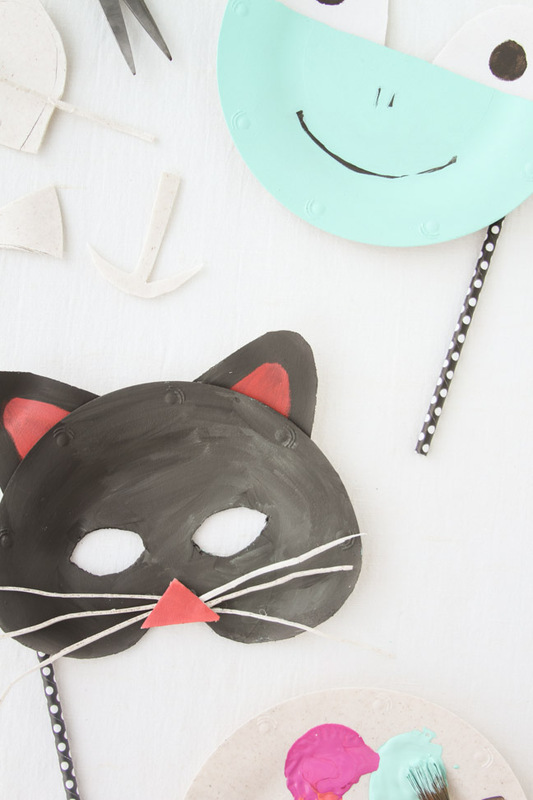 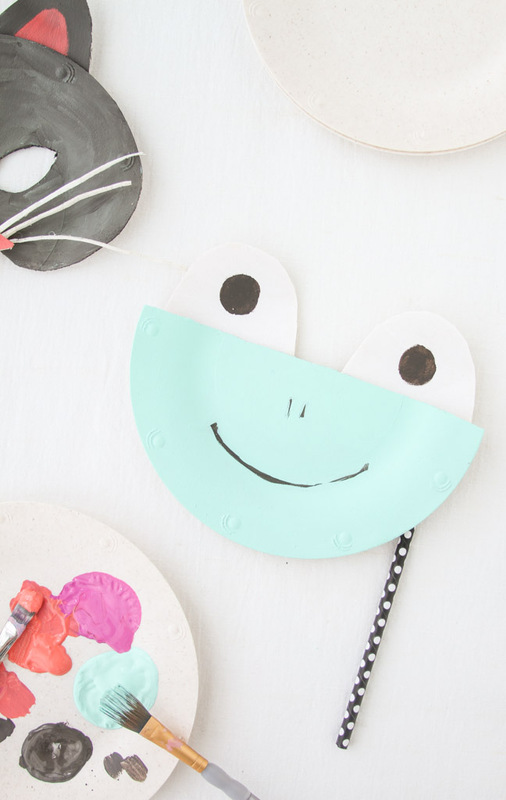 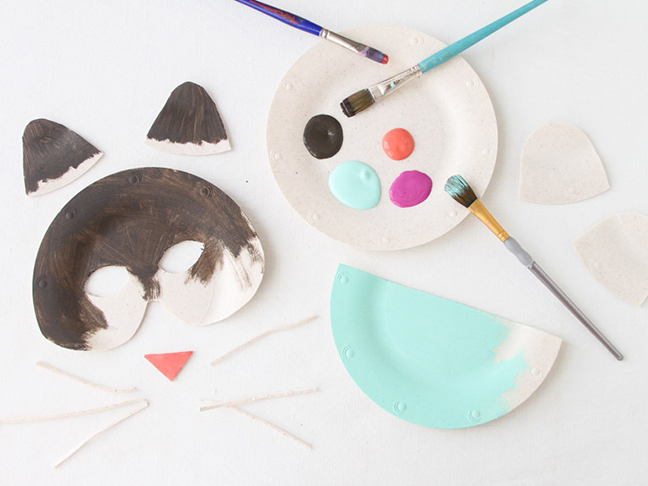 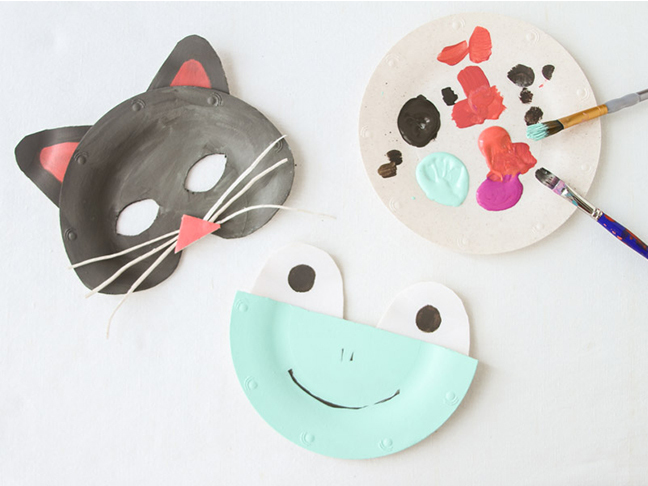 These little guys are super easy to make with paper plates and craft paints, which means kiddos can definitely get involved in making their own Halloween masks for parties and playtime around the house. 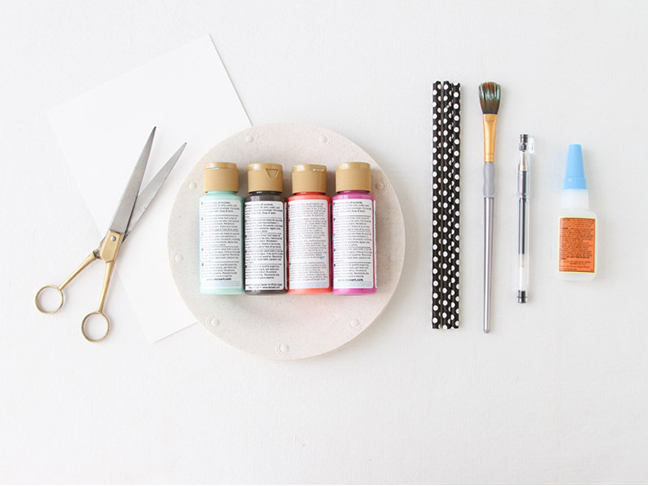 Plus, you’ll likely have all the supplies you need to get started at home already. 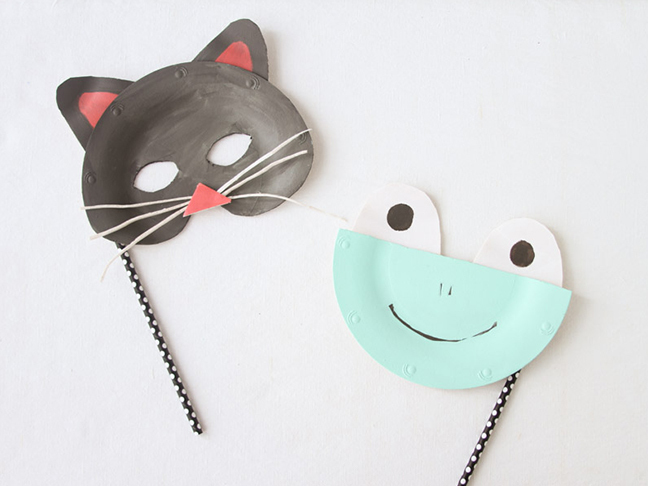 Step 5: Add a paper straw or ice cream stick to either side of each mask to make it easy to hold.